I’m currently editing the new Harry Potter film which is I’m sorry to say crap. Worst Harry Potter film. Nothing like the book. My goal with this edit is to not make it closer to the book ( lets face it with so much already taken out how can we make it closer to the book ) but to make it enjoyable, to a guy anyway. Too much love stuff for a Potter film. This was quite entertaining but the video looked very squashed. I’ve always had a sore spot for HP6 the movie and this edit made it better, but it’s still a movie I wouldn’t revisit unless I was doing an HP marathon. There was a lot to like about this. I too thought that this was the worst of the series, and was very happy to find a well rated edit of it here. This edit is more focused on the plot that matters, something that got lost somehow. 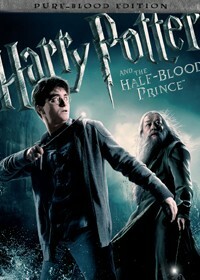 It’s Draco and the half-blood Prince. Sadly, there isn’t enough about the half-blood Prince, and I assume that no deleted scenes could help with this. Snape’s revelation at the end is still horribly off and weird as the movie hasn’t properly built up to it. I was severly dismayed by this lost opportunity in the theatre, and I still think it misses out. But that’s a fault of the movie – not the editing. I liked nearly every change. Something I did not like was video quality. There wasn’t a DVD avilable, will there be at some point? To make things even worse I watched Northwest Passage right after this, and it has amazing video. All in all I recommend this, it is better than the version shown in theatres, but could use some extra finishing. With focus on the editing and editing ideas I rate this 8/10. Added ratings for the categories.